There are a few contenders for regional newspaper headline of the week so far - and all of them involve animals. 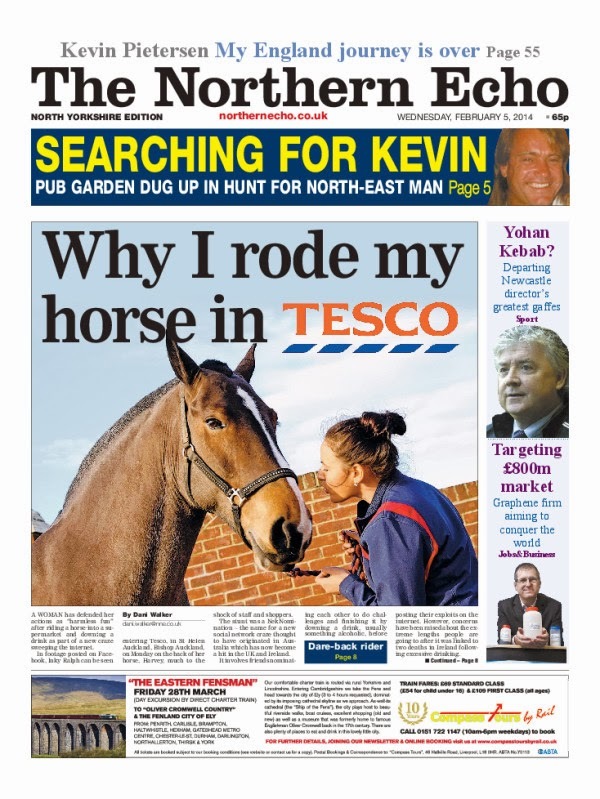 Here is tomorrow's Northern Echo - with a headline editor Peter Barron tweeted that he never thought he would write. 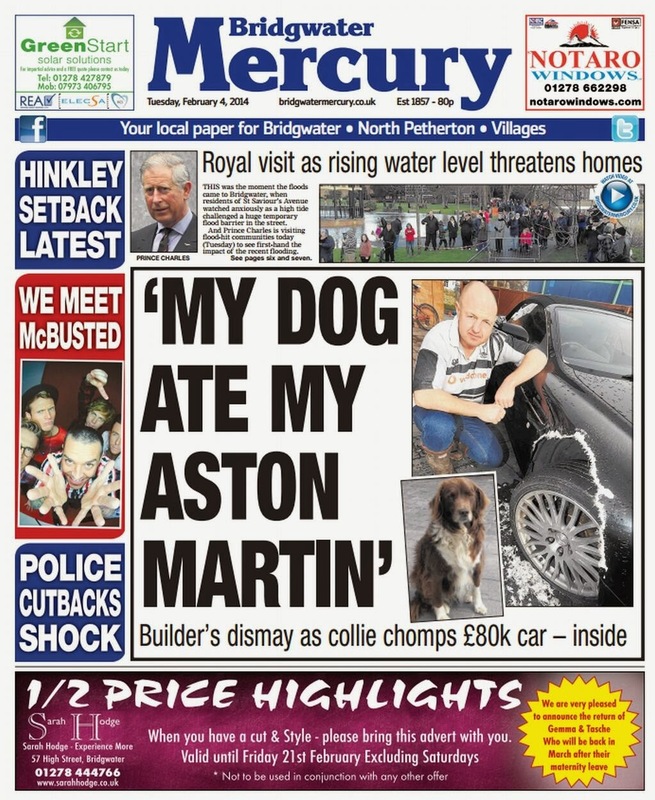 It comes hot on the heels of the Bridgwater Mercury's splash about a dog eating an Aston Martin. Both headlines are in the first person, involve animals and build vivid images in the readers' minds. Good work. 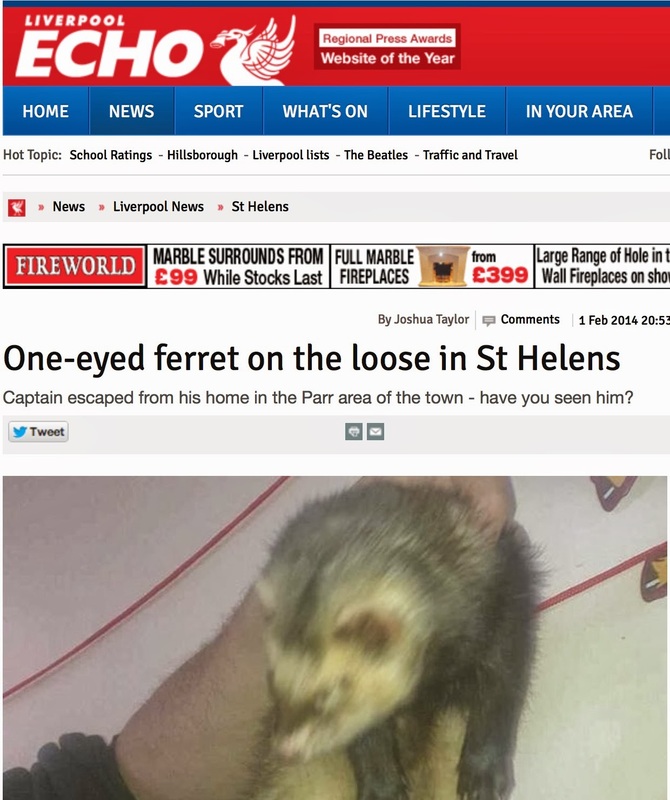 And for real detail and an element of the bizarre they don't come much better than the Liverpool Echo's 'One-eyed ferret on the loose in St Helens.' Marvellous.